NASA scientists discovered that the Lunar Reconnaissance Orbiter survived a meteoroid impact in 2014. They are common small objects found in space. NASA scientists have determined that the Lunar Reconnaissance Orbiter studying the moon survived a meteoroid impact. Researchers even found physical evidence to prove it. The researchers manning the probe noticed something strange about an image beamed back by the spacecraft. It is supposed to take photos one line at a time since it follows an orbit. The instruments then compile the photos to make one full image. In one odd photo, experts determined that the craft was hit by a meteoroid. 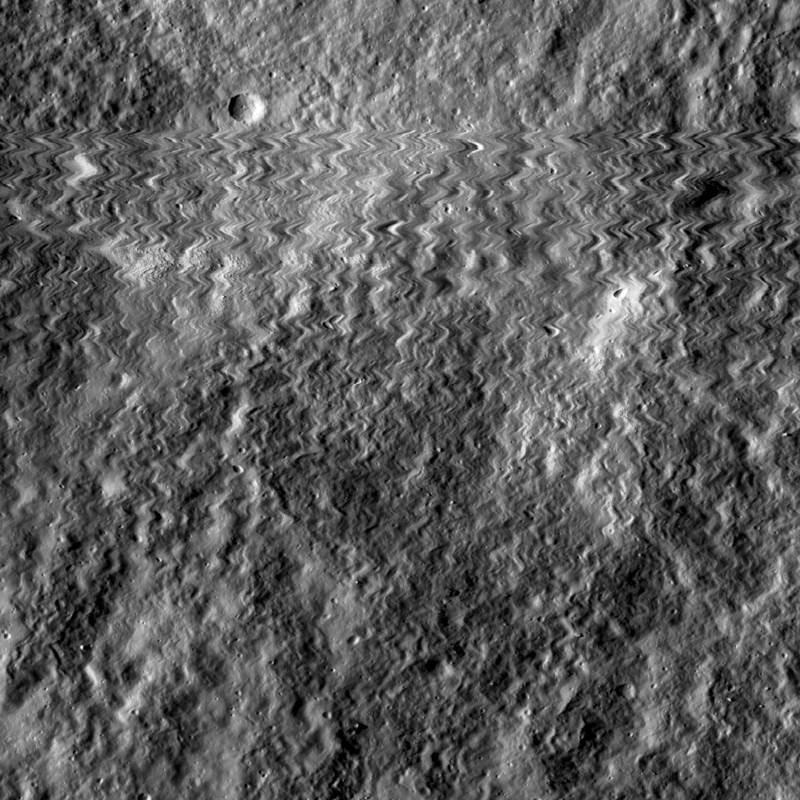 There were patterns and disturbances visible in the image that do not usually appear on data taken by the LRO. It was taken by the Lunar Reconnaissance Orbiter Camera (LROC) on Oct. 13, 2014. It usually takes clear and sharp images thus a jittery output instantly revealed its conditions to researchers on Earth. The team later on determined that the jagged pattern on the image was due to a tiny meteoroid that hit the camera during the time it is taking photographs. Meteoroids are considered a small and natural object in space thus it is not surprising that one of those meteoroids will impact a NASA spacecraft while doing crucial science in space. LROC is using three cameras mounted on the LRO spacecraft. Two Narrow Angle Cameras (NACs) capture high-resolution black and white images. There is a third camera, the Wide Angle Camera that captures moderate resolution images with filters. It is used to provide information regarding the color of the lunar surface and its properties. "The meteoroid was traveling much faster than a speeding bullet," Mark Robinson, principal investigator of LROC at ASU's School of Earth and Space Exploration said in a press release. "In this case, LROC did not dodge a speeding bullet, but rather survived a speeding bullet!" This means the Lunar Reconnaissance Orbiter is sturdy enough that it survived a meteoroid impact. From what the researchers found out, there could be a brief violent movement of the left Narrow Angle Camera during the impact. The results also pointed out that the NAC was the only one affected by the meteoroid impact. If the context was different, it will result in a different image. "Even if there had been, the resulting jitter would have affected both cameras identically," Robinson added. "The only logical explanation is that the NAC was hit by a meteoroid." Therefore, conspiracy theorists can no longer argue that the LRO survived an alien collision. Data shows that it indeed collided with a space object, not a UFO though but a meteoroid. Metal Layers Discovered on Mars' Atmosphere -- Is it Similar to Earth's Atmosphere?